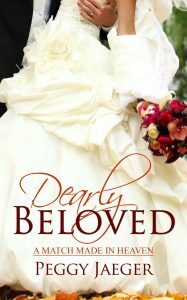 In Dearly Beloved, main character Colleen manages a thriving bridal business along with her sisters. Despite having had a bad break-up courtesy of a cheating ex-fiancé, Colleen still believes in true love. Still, with a business to run, a grandmother and siblings to look after, she doesn’t have much time to look for the right guy. Then, she meets Slade Harrington, a man who has no desire in being in a relationship and thinks the single life is just as well. But when Slade meets Colleen, it could be a match made in heaven… But then the ex-fiancé comes back into the picture, and Colleen has to make a choice that will change her life forever. I don’t want to give out too much spoilers, but I loved this! Colleen is amazing. She’s charming, fun, kind and generous. And the way she interacts with her family is simply adorable. Slade too is intriguing, and he has a mysterious side to him that the reader instantly wants to know more about. I was also very fond of the writing style, which was easy to read but brought just the right pacing to a book in this genre. A great read for those cold winter nights!